When you open a checking account, your balance is at $0. Requesting to withdraw $1000 when you have a balance of $0 will get you a really funny look from the bank teller. You would LOVE to be able to withdraw some cash, but that’s not the way it works. You must first make a deposit. You must grow your balance. Radio advertising works the same way. You’d love to start “withdrawing” new customers the same day you start running your ads. But that’s a tough road because you have no “mind currency” built up yet. The best radio advertising talks to the heart of the listeners. Your ads should reach out to ALL the listeners. Most importantly, to those that don’t need you right now. Radio works best when you talk to those that don’t need you now – the ones that may need your product or service months from now. When your ads give listeners a good feeling about your company and when trust grows…then you are building “mind currency”. Four, five, or six months into your radio campaign, when a listener is in the market for what you offer, who will they be most apt to buy from? – the business that has NOT gained their trust, spoke to their heart, and connected with them…or the business that HAS? Win the listener’s heart and the mind will follow. Win the mind…and the wallet will follow. 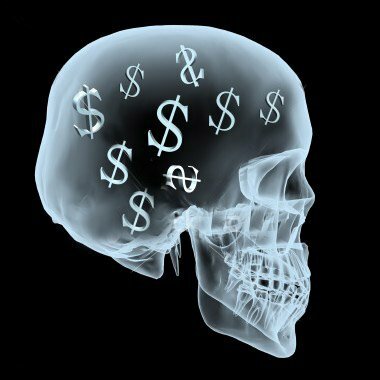 Your radio advertising should constantly build “mind currency”. Or as some would call it – brand equity within a prospect’s mind. Your radio ads are like bank deposits. In time, and with a good message and strategy, you’ll be able to cash in some of that mind currency. The longer your campaign airs and the more you connect with listeners, the more you’ll be the business they buy from and refer others to. Do you ask a complete stranger off the street to help you move? To help you carry heavy furniture and appliances up and down steps for six hours? No way! Only a good friend who appreciates the relationship you both have built over the years will do that for you. Build relationships with your radio ads! Earn trust. PROVE you are a friend to each radio listener…with only their best interest in mind. Then, and only then, can you build “mind currency”. Then, you’ll be able to ask for a “withdrawal” when someone needs your product or service. It’s how you gain market share. It’s how more and more people will come to do business with YOU…instead of your competition. THAT is what radio can do best. THAT is what you want – a consistent flow of new customers that already have begun to trust YOU over all others. Before they’ve even walked in your door, picked up the phone, or visited your website. The CHEAPEST, cliché, safe, boring, and copycat radio ads will not do it. Hire the right radio company and radio representative (like yours truly!) who can lead you down the right path. They are writers, researchers, driven to make it work, and they ask a lot of questions. And if you have information about what your customers really want and care about…they love it if you share that with them. 🙂 Have a great day! For more help with local advertising performance, and advice concerning what you should actually SAY in your advertising to make it work better, consider my book, “Take a Bigger Slice”. I’ll help you discover the power of the spoken word… and the power of radio. Thanks for finding me! Previous: Are you preparing for a Groundhog Day Sale? Excellent observations Duane. Too many clients expect instant results when they haven’t laid the groundwork. If you only tell your spouse you love them when you NEED something, it doesn’t work as well as if you tell them every day. Keep up the good work!